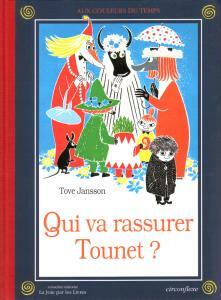 The Moomin Trove: Qui va rassurer Tounet? Title: Qui va rassurer Tounet? Original English Title: Who Will Comfort Toffle? This French translation of Toffle because, unlike the Swedish original, the text doesn't rhyme - instead it's presented as free verse.